It’s not what you think. I received an invitation to a Bid for Bachelors event that benefited the American Cancer Society. My mother, who was a great inspiration to me, had breast cancer, and she was far too young when she finally succumbed to cancer. So I was prepared to make a sizable donation – and buy myself a date! Fortunately, the committee had chosen a great selection of the area’s most eligible bachelors! Unfortunately, every single woman under the age of 97 had decided to attend the event. But I set my sights on one particular bachelor. He was a handsome, successful owner of a well-known traveling circus. The event brochure noted that the highest bidder for Mr. 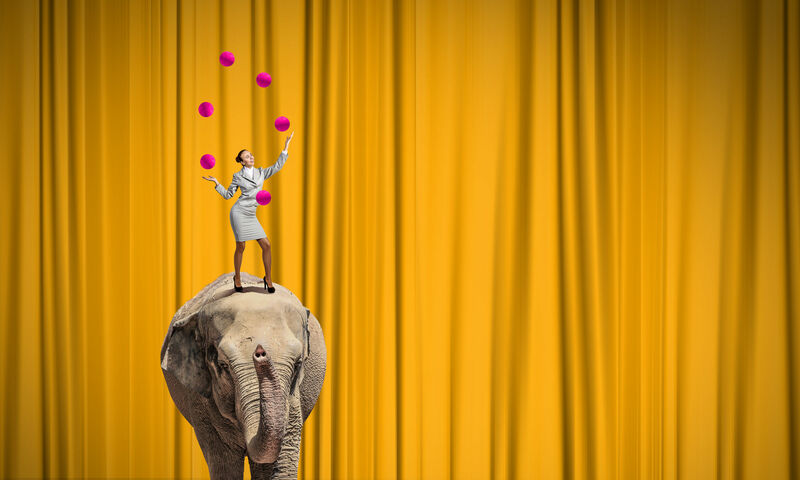 Circus would win a date that included first-class air travel to Chicago, a shopping spree, wining and dining, two nights at a 5-star hotel and – the highlight for me – a chance to open the circus riding an elephant! Now that’s my kind of date! I kept bidding but I had only so much cash available. I really don’t think it’s a good idea to buy a date at a charitable event with a bad check. I bid as much as I could, but at a certain point, I had to bow out. Bummer! However, there were a dozen women who were rooting for me. They hadn’t been successful bidding on any dates, and they decided to pool all the money they had brought and help me (and the American Cancer Society) out. I was back in the game! I kept bidding higher but soon hit my new limit of $12,000. And my opponent bid $13,000! I threw in the towel. But the auctioneer (a Master Ninja of fundraising) whispered something into the bachelor’s ear. She turned to us and announced that, to benefit the cause, Mr. Circus had agreed to take each of us on separate, identical dates if we were willing. Yes, we were! And the $25,000 we raised for the American Cancer Society for Mr. Circus set a record at the time. It turns out that Mr. Circus is a public relations master. He generated so much publicity that my story was featured in newspapers all over the country. My 15 minutes of fame lasted several years, culminating in an appearance on the long-running To Tell the Truth TV show. Know your own limits – but allow others to support you so you can stretch farther to get what you want. When you step into an adventure, it may not turn out exactly as you planned – it may be even better! Of course, it wasn’t a circus costume but an ugly, scary Halloween mask that got me to move across the country and create a totally new (and somewhat terrifying) career for myself – you can read more about that adventure here. Tired of throwing the dice in the Wall Street Casino? 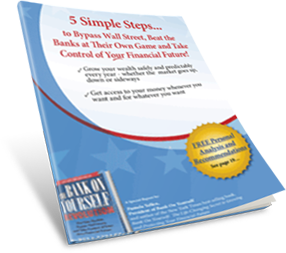 Ready to take back control of your financial future and know the guaranteed value of your nest-egg on the day you plan to tap into it… and at every point along the way? Request your FREE Analysis (if you haven’t already) and find out today!